I’m one of those lucky people that get to work overseas for fieldwork. And not just anywhere, I get to work in the Brazilian Amazon. I hope. I say “I hope” because the long (and I mean long) process of actually being allowed to work in the Brazilian Amazon is still ongoing, and I leave in less than two months. I wanted to write this blog because behind the scenes of any field research and conservation – the “oooo I wish I was working in XYZ like you” type – there is often a bewildering maze of bureaucracy to get there. I’m going to focus on my experiences of research visas and permits for working in Brazil, but some of the general advice will be applicable no matter the fieldwork location. One of the hardest things I’ve found with organising fieldwork in Brazil is the helpless feeling of “I need to be there for my research, but I don’t know how to go about being let in.” I was lucky to have Mark Abrahams and Maira Benchimol at UEA (we share Prof. Carlos Peres as a supervisor) who are veterans of Brazilian visas, permits, and permissions to help me through. I often felt like I must be really annoying them asking so many questions, and wished that there had been a simple online check-list of what I needed to do so I could just get on with it myself. So I’m going to write one. This advice and check-list has a caveat that it comes from my experiences from January-June 2014 (situations can and do change with permits and permissions, so it’s always worth checking the current state of affairs), and that I got research visa in a roundabout way and not necessarily the most efficient way! So here goes some general advice first, relevant to visas and permits anywhere in the world: start this whole process early. It takes ages. For Brazil, I would allow 6 months to be somewhere near comfortable. General visa information, Brazil: can be found on the consulate website, including a list of documents you’ll need for each one. 1) Letter of recommendation: You’ll need a letter of recommendation from someone at a Brazilian University/Institution. This will include details of what you’re planning on doing, how you’re going to be involved with the University/Institution, and how long you’ll be there. If you’re going to be completing a course, this should be outlined (and you’ll likely be after a “Student Visa”). A letter of recommendation is still needed if you want a research visa, but you don’t need to attend a course. 2) Online visa application: Once you’ve decided on the visa you need, there is an online application form accessed via the consulate webpages of the visa section. Completing an online application will then allow you to book an appointment for your visa interview. If you’re after a research visa, it’s called a VITEM I. 3) Book an interview slot: Get ready for a trip to the consulate in London for your visa interview. Prepare for this early, you need to book an appointment, and there is just a 1hr slot per day for appointments so they go fast! The online booking system opens appointments one month in advance, so if you know you want to have everything sorted by the 10th June, get booking on the 10th May. These interviews take about 15mins and are nothing to worry about so long as you have everything you need e.g. passport, details of how you’re going to fund yourself in Brazil etc. (full details of what to take are clearly outlined during the visa application/appointment booking process). 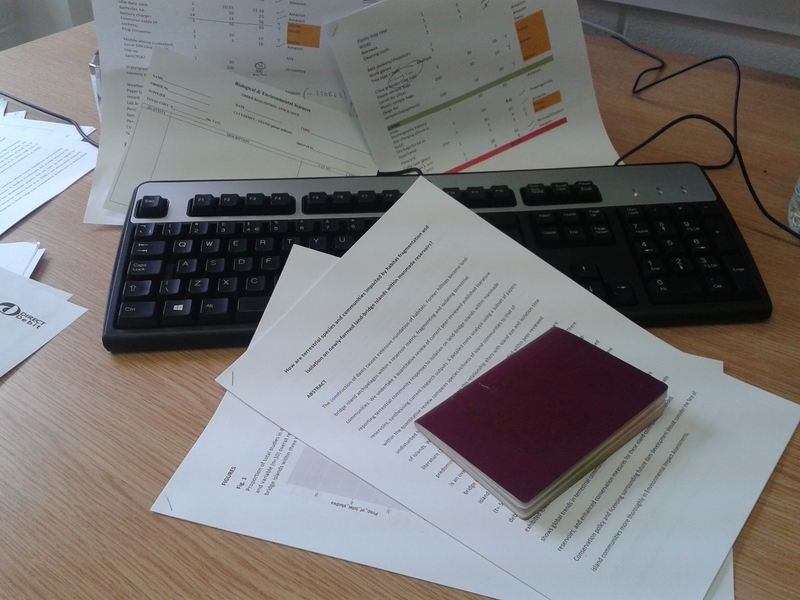 There is the option of having your visa posted back to you, but I would highly recommend picking it up in person in case of any last-minute quibbles… I speak from personal experience, having had my visa changed from a student visa to a research visa the morning I was meant to be picking it up. 4) ACRO police certificate: While you wait for your visa appointment, get your ACRO police certificate. Taking a spare copy to Brazil might be handy, I am. Make sure you’ve got enough time for this to come through before you go for interview. 5) Register with Brazilian police: There are also some forms to complete for when you get to Brazil. Within one month of arriving you need to register with the police, so fill out the “requerer registo” section of their website. 6) Permits: So that’s the visa, but there are other things which need to be considered such as whether you need additional permits and permissions for any reserves or parks you’re planning on working in, and whether you need to bring out any specimens. Hopefully, you’ll have a Brazilian contact to help you with this process. I’m working in a federal reserve (Uatama Biological Reserve) and am required to be on a Sisbio licence. This is the bit which I’m still waiting for, and why I say “I hope” at the beginning of this post, because I can’t do my research without it. 7) Lattes: I set up a Lattes profile (an online network where all Brazilian researchers are), so that anyone who wanted to check out my credentials could find a little more information. My Portuguese isn’t great, so it’s very brief. Who knows, it might be helpful! Although this post is geared towards getting a research visa for Brazil, the concepts of being organised, allowing enough time for people to get back to you, and forms to be processed apply to visas and permits anywhere. 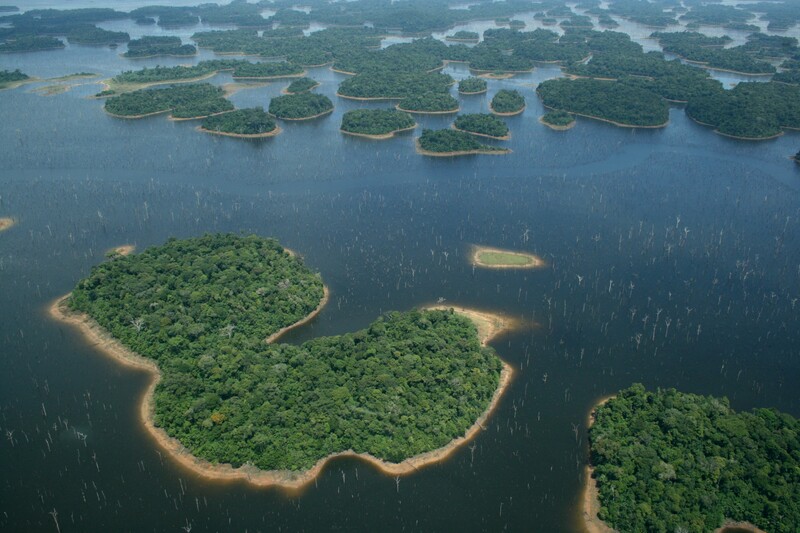 If everything goes to plan, I’ll be working at the Balbina Hydroelectric megadam for four months, investigating tree community drift due to isolation on islands. When the old growth forest was flooded to create the reservoir, thousands of former hill tops were turned into islands within the reservoir, and we don’t yet know what this means for the conservation of these remnant tree communities. More on this to come, and there’s a little more information on my research here. I’m very much looking forward to getting out of the paperwork minefield, and getting into the field.